The book recommends you to read the chapter again if your score of review questions is less than 80%. All my results were less than 80% so I had to read the whole book again. But I decided to do some more tests before revision to find out which parts confused me most so that I could know which topics I had to focus on. In my summer holiday I hadn't taken my laptop with me, so I downloaded some java quizes from google play market to my mobile phone and started doing their tests. The questions of the quizes were simple, but they helped me to increase my speed in answering questions. I used AIDE app as compiler and jre to test confused questions. It helped me a lot too. My english was not good enough therefore the first important thing for me was the writting style of book. Before buying the book I read some parts of it from “Look inside” in Amazon. I found its writing style simple and straighforward, so decided to buy it. In a short time I got used to the book. The book is very compact, and the reader is not overwhelmed by additional information. Everything is explained in a short and clear way. The book informs you about the topics that are out of scope for the OCA exam, so that you don't need to read them. In this way you can save your time. The best thing about the book was that its predictions about out of scope questions for the exam were true. Indeed, I didn't come across with those questions in actual exam. The most confusing topic of the book for me was the Garbage Collection. At first it was hard to answer such questions. I encountered some tough questions regarding GC in coderanch and I couldn't answer them. Therefore I needed to read extra information about GC from other sources. Then I learned the easy way to find right answers to such questions: using pen and paper. But there was only one question regarding GC in actual exam and it was absolutely enough to read only SYBEX. The book covers 100% of exam objectives. I encountered only one thing (append() method with three parameters) in actual exam which doesn't exist in the book. If you look at Errata page you can see my name as the most reported person. But despite this, my opinions are very positive about this book. Most of these typos are minor and will not cause you problems in answering questions correctly in actual exam. I remember only two important errors that I encountered in Practise Exams and fortunately, they can be fixed (if they are fixed the next readers will not encounter these problems). But it is pity that these errors are still exist and haven’t been fixed yet, although they were reported several months ago. But in general this book is very good and I loved it very much I was able to answer only 3-4 questions in Assessment Test before reading this book, but after reading the book I increased my knowledge a lot. If online material quality is improved a bit (it is impossible to return previous questions in Practise Exam, it is impossible to look at your result after next login, there is no time limit information etc.) this study guide would become much better learning tool for future exam takers. In comparison with other alternative programs I found Enthuware and its questions more interesting and qualitative. According to previous exam takers’ experiences Enthuware questions are very similar with those of actual exam. Now I agree with these opinions too, especially I want to note Last Day Test. I couldn't distinguish some actual exam questions from Last Day Test when I wrote my experiences. I couldn't remember whether I had encountered this question in actual exam or Last Day Test. I discovered Coderanch forum thanks to Mrs Jeanne. She directed me to the forum when I sent her email regarding OCA book. When I got familiar with the forum I understood that using the forum was one of the best decisions I made during certification exam preparation. Indeed, it had great beneficial effect on my studies. Every day I visited forum to read new posts. I read explanation of questions which I hadn't known and took notes if necessary. Before finishing preparation this forum also helped me to have some idea about test center, exam registration process, as well as how to get printed copy of certificate. I bookmarked those questions to read again in case I needed. I also posted my questions that I didn’t understand. If the explanations of questions written in study guides or in test banks were insufficent, first I looked for extra information about those questions in the forum. I guessed that someone might have asked the same question before me and indeed in most cases it was so. Most questions in the forum are explained step-by-step and in details, so it helps readers to understand that concept very well. •	I was familiar with all the questions asked about Exception in actual exam. Although during my preparation I came across with some Exception subclasses in Enthuware that were not included in SYBEX book, all Exception questions of actual exam were covered in SYBEX book. •	There were some questions about import but the answer options of one of them were weird. I had seen no similar questions in SYBEX and Enthuware. (I will write about it in detail). 1) In two questions I couldn't decide between two answer options. •	there had to be semicolon and braces because of return statement and it had to return boolean value and ok. Required import is only option C. But I had to choose two options so I chose option D because option D is valid syntax, but is not required. It was weird that there was no information about getName() method. At that moment I remembered Roel`s words (sorry if I remember wrong): “If something doesn't exist in question you shouldn’t guess it”. Therefore I chose option C and D. But I don’t remember that question exactly, I might be wrong. At the end I want to especially note that SYBEX book and Enthuware together are excellent study guides and they are absolutely enough to pass the exam with high score. But you should follow the right sequence. P.S. The above thoughts are referring to my actual exam questions. Edit: Code snippets have been removed as they don't quite meet publishing standards of forum. Thanks for sharing your experiences. Other ranchers will definitely benefit! Normally I would give one cow. But the experience you have posted is the most comprehensive I have ever seen, so I'll award you 3 cows and 1 slice of pie! 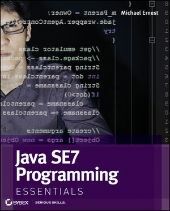 Mushfiq Mammadov wrote: First of all I want to say that I am an economist and I had had two years experiences of working with java when I started preparing for the certification exam. Mushfiq Mammadov wrote: The second question was regarding Lambda. Mushfiq Mammadov wrote: The first question was regarding import. I agree the format of this question is a little bit weird. But I think the correct answers had to be C (proper import statement of ClassC) and E (valid statement using the fully qualified name of ClassC to invoke a class/static method). But the strange thing is that the latter one is not really an import statement. Probably my words you remembered are: "You should never assume something which is not mentioned in the question or in the option". Meaning if a statement uses "a field" you should not assume "a private field", "a final field", "a public field",... when evaluating the statement. If a specific kind of field is intended, the statement will mention it explicitly (e.g. "a final instance field"). Wow. Thanks for the EXTREMELY detailed analysis of your journey. Roel De Nijs wrote: Congratulations champion! You didn’t reply only this post In that time you were on holiday. Roel De Nijs wrote: Probably my words you remembered are: "You should never assume something which is not mentioned in the question or in the option". Jeanne Boyarsky wrote: Wow. Thanks for the EXTREMELY detailed analysis of your journey. Congrats Mushfiq, glad our book could help you pass the exam! Scott Selikoff wrote: Congrats Mushfiq, glad our book could help you pass the exam! Mushfiq Mammadov wrote: You didn’t reply only this post In that time you were on holiday. 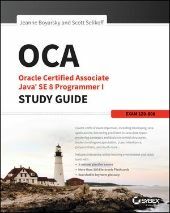 I also like to mention that Oracle has introduced some assumptions about the OCA (and probably OCP) certification exams. These are mentioned on the Exam Topics tab. Well deserved by the looks of things! First of all Congratulation man ! I do understand the feelings and obstacles of people whose native language is not English and who are not good in English. Sometime even I face problems while asking questions in this forum. Though you made it just awesome I just wonder how many hours you spent writing such fruitful detailed experience. Congratulations, Mushfiq!! and thank you for sharing your experience is such detail. We are glad to know that our s/w was helpful in your preparation. We will work on improving the s/w on the lines you've indicated. Victor Calin wrote: I have exactly the same book but the PDF version. However I do not find those 3 exams. Only the assessment test and the exams after each chapter. He is talking about 3 Practice exams which are included in an online material which furnished along with hard copy of this book. Since I had also purchased hard copy so I am not sure whether It comes with Kindle edition Or not. Ganesh Patekar wrote: He is talking about 3 Practice exams which are included in an online material which furnished along with hard copy of this book. Since I had also purchased hard copy so I am not sure whether It comes with Kindle edition Or not. It does come with the Kindle edition. It's the same mechanism. After going to the sybex test site (the URL is in the book), you get prompted to verify something in the book. Like what is the third work in question 6 in chapter 2. Easier to answer if you access to the book. Which Kindle users do. Jeanne Boyarsky wrote: It does come with the Kindle edition. It's the same mechanism. After going to the sybex test site (the URL is in the book), you get prompted to verify something in the book. Like what is the third work in question 6 in chapter 2. Easier to answer if you access to the book. Which Kindle users do. Oh! I see. Glad to know that all users get the extra benefits inform of online material.